We’re excited that you’re interested in joining the charge at GHC! Trying to decide what college to attend is an important choice. But guess what? Our friendly Admissions staff is here to help you start #TakingCharge of your future today! Contact your Admissions Counselor now to help you get started or make arrangements to visit one of our locations. And don’t forget! 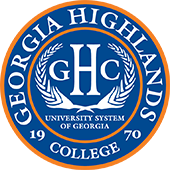 In addition to our scholarships and financial aid options, GHC offers an interest-free payment plan, so you can pay as you go.